Happy World Music Therapy Day! Since it is the World Music Therapy Day all around the world, I would post various music therapy related things that I am involved, throughout the day. Important announcement! We are planning to host the Bonny Method Guided Imagery and Music (BM-GIM) trainings at Nagoya College of Music this summer as we have for past two years. We are in the process of exchanging the physical copies of the contract right now. 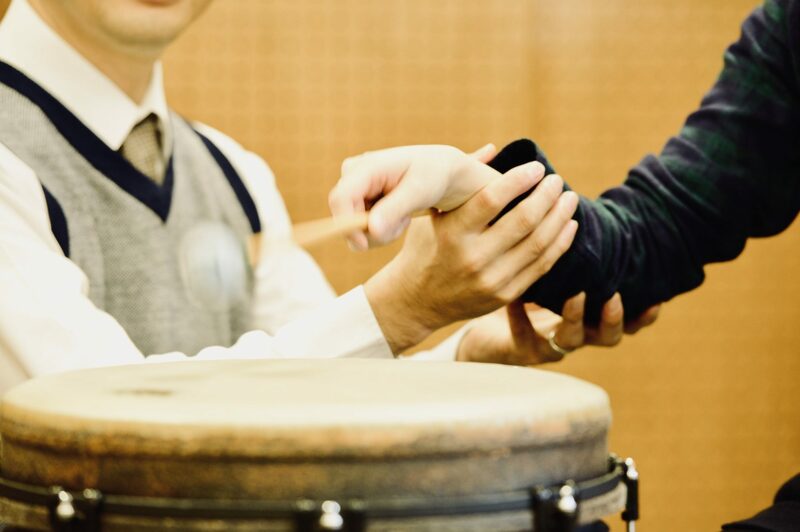 The training institute, Atlantis Institute for Consciousness and Music (AICM) has already announced that there will be trainings in Nagoya this summer. Two trainings would be offered. Level I & Level III module 1 (advanced clinical practice). Please refer to the curriculum page of the AICM. Primary trainer will be Prof. Jim Borling, assistant trainer will be Ms. Nami Yoshihara. 日程は下記の通りです。Mark the date in your calendar! Bonny Method-GIM Level I training 2018 (the training) will be held from August 2 to August 5, 2018. Bonny Method-GIM Level III module 1 training 2018 (the training) wii be from August 6 to August 10, 2018. 左から吉原先生、ボーリング教授、私です。From left, Ms. Yoshihara, Prof. Borling and me. More details will be available at the Nagoya College of Music web site near future! Stay tuned!